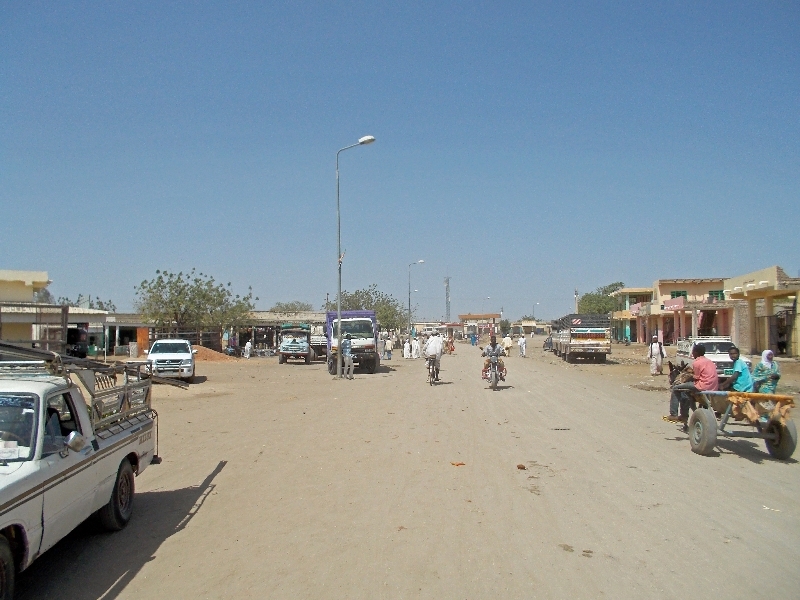 Off road and through back areas of Sennar province. Tires were changed yesterday. Some did better than others and the thorns along with new tires caused many flats. I had one but only when I pulled a thorn from my tire after arriving at camp. Two other cyclists each had eleven. Schwalbe Marathon plus tires in general did fairly well. 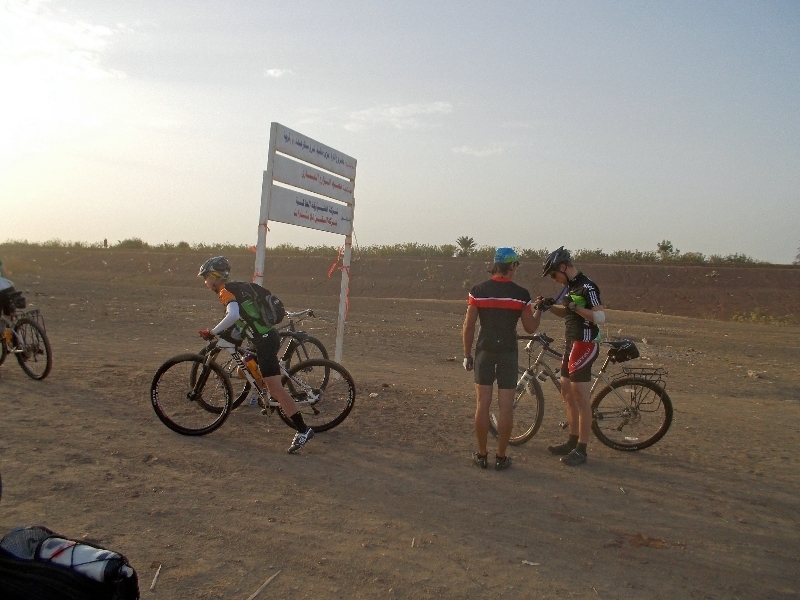 For the next 74km, the theme was “follow the railroad”. In particular, an abandoned rail line. Often the rails were still there, but not all connected. 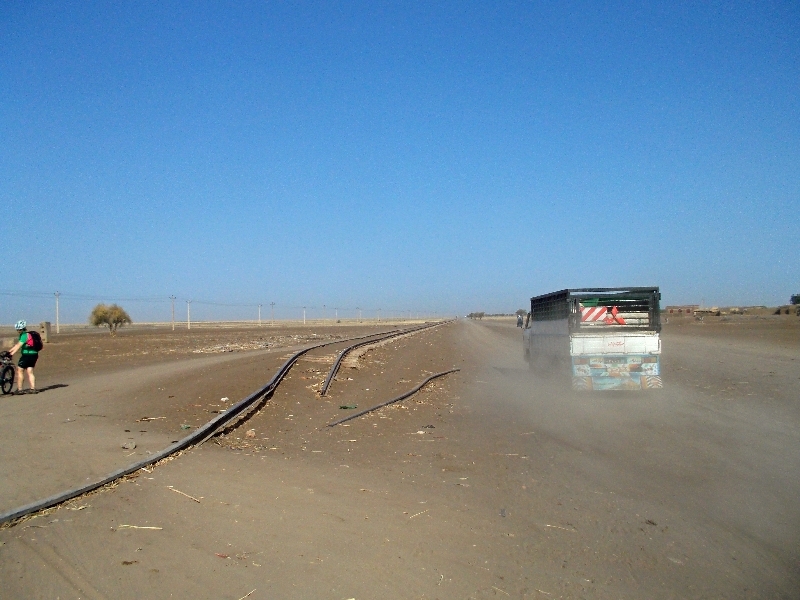 We also had to experiment with how close we tried to follow the rails itself vs. roads that came parallel to it. 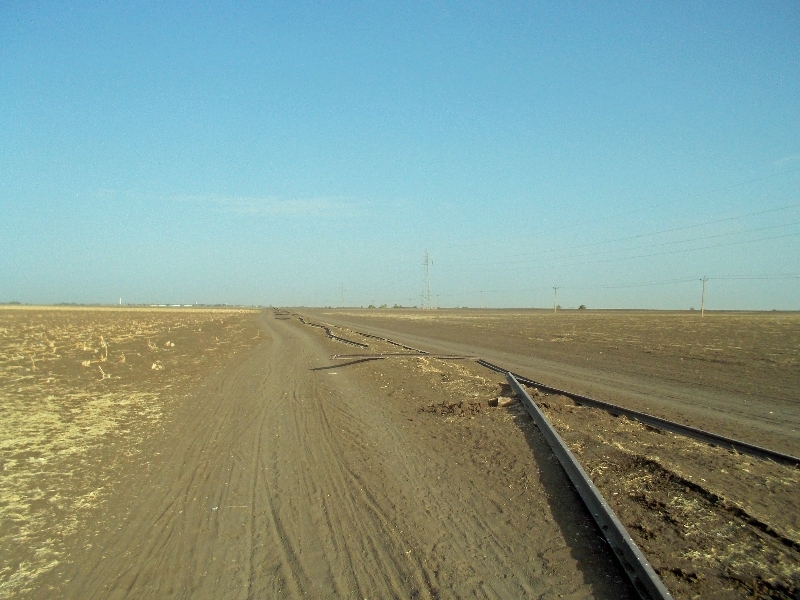 In the first 20km of railway we had a few instances where to rail went through marshy area. Got covered with mud, particularly the cycling shoes. After that I decided to err a little more away from the rails. Unfortunately, this backfired on me for lunch. I looked back at one point and saw the lunch truck on other side of canal from myself. Oops, now time to find a bridge 1.6km away and get back to lunch. This accounted for an extra 3km myself instead of the more official 84km. 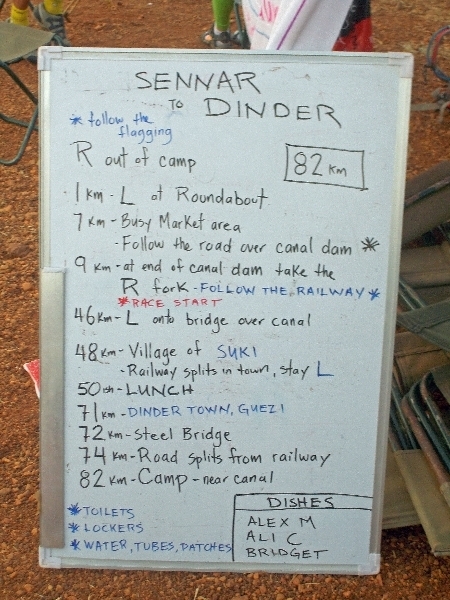 After lunch, crossed small towns of Suki and Dinder. Stopping through here you could definitely tell this was not a well-traveled tourist route. However, they had placed a big welcome banner so our local contacts in Sudan are trying to help promote the area and be hospitable. Kids would run out to see us in the small towns. We’re told this is nothing like Ethiopia. It was hot at end of the day, but still not too bad and I was into camp by 3:30pm. Enough time to inspect my tires and find a small thorn and one to patch. Still a tough day but will see how it goes tomorrow. 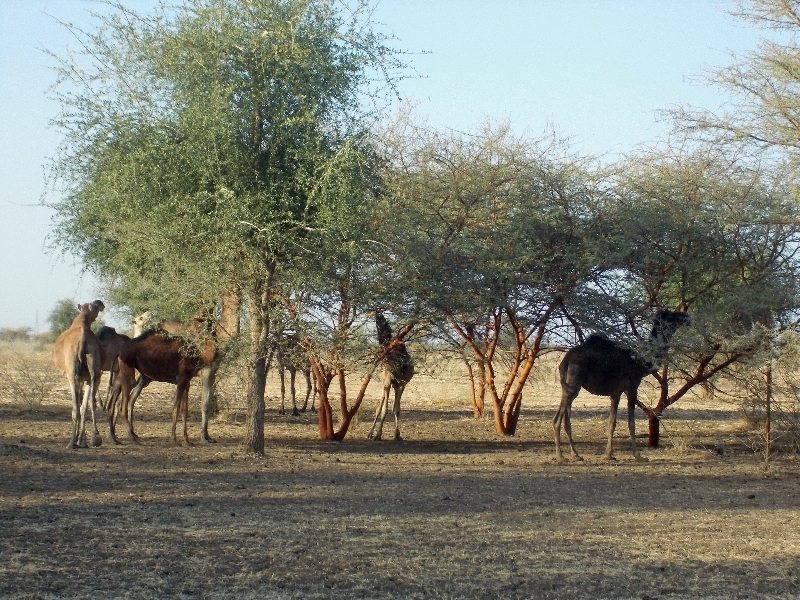 In evening we could see camels grazing from trees and also this little goat that acted like it lost its mother. I could “baa” and it would reply as well as follow. 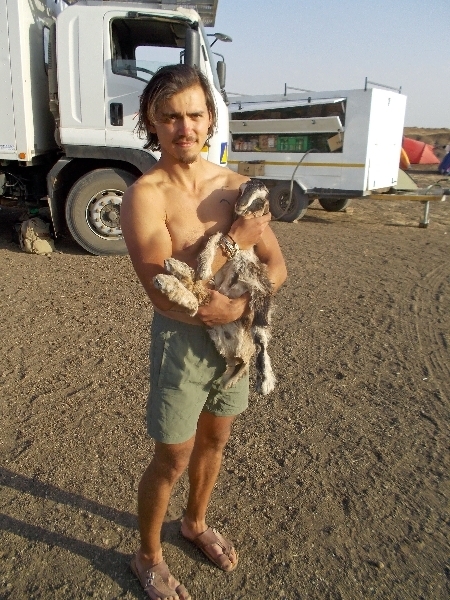 Photo above shows Catalin and the goat.